Sometimes most all of us would benefit from a good whack in the head to be reminded that we need more perspective in our lives! 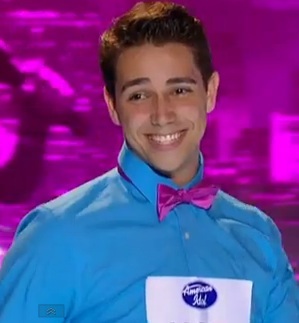 The whack that just caught me upside my head was Lazaro Arbos and his American Idol audition. Lazaro, a 21 year-old ice cream scooper from Florida, has had a stutter since age 6 that has deeply impacted his life. I cannot imagine the courage it took for this brave young man, with a pretty severe stutter, to sit in front of television cameras and share his story. By the end of the audition he had tears of joy dripping from his chin – and so did I. What an indomitable spirit he must have! 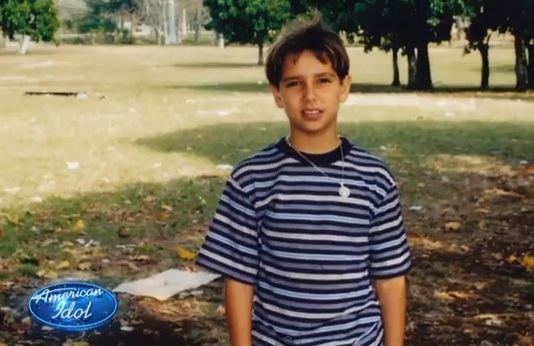 His family immigrated to Florida from Cuba when he was 10 years-old and his parents still speak Spanish. This would make me guess that he learned English well after the stuttering began and is now bilingual. Reared all of my live in the United States, at 40 I immigrated to Colombia, South America, and have had GREAT difficulty learning the local language of Spanish and I do not have a stutter to overcome. This young man has whacked me in the head reminding me I have to stop making excuses and learn Spanish or this inspirational moment will have been wasted. At one point he says – things that “normal” people would think are so easy becomes so hard for him. I do not doubt that a lot of things are more difficult for him, but I hope he misspoke using the term “normal” people in a way that could exclude him from being “normal”. My brief moment of sympathy was quickly followed by shock. This guy that just inspired not only me but thousands, does he feel he is not “normal”? Watching it the first time, I just wanted to give him a big hug. Watching it again, I wanted to shake him and say, “NEVER feel you are not ‘normal’!” But the confidence, courage, strength and intelligence he must posses to be bilingual while having a stutter and giving such a heartfelt performance convinces me, and I hope, he just misspoke. I am such an easy target for a story like his because I have a real empathy for his situation. I had hearing difficulties as a child and out of a necessity created my own language. It was actually the official language of the little world I lived in – within my own little head. 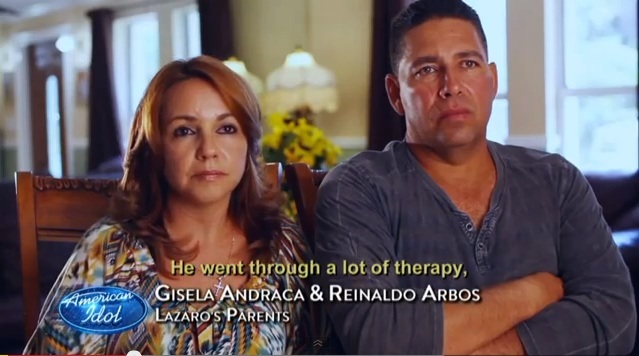 Lazaro’s mother Gisela says she often had to speak for him. 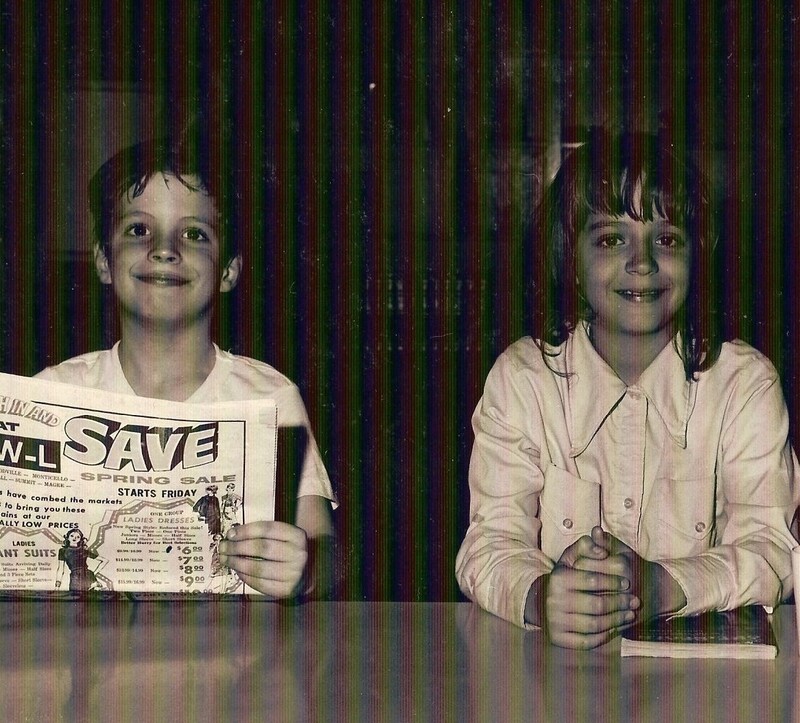 My little world also had a translator, my older sister Darlene. People would listen to me jabber on and on (one thing that has not changed about me), not understanding a word, then ask Darlene, “What did he say?” Then she would relay my message perfectly in English. She was really the only one that truly understood me, having to also translate for Mom and Dad at times! At age five, I began to learn to speak English, the language of the people in my new world. I no longer had to live in my isolated world and began to FEEL more and more connected to this much bigger world outside my little head. Acting as my translator, Darlene and I built a unique bond. Now we are adults, we often argue and fight. In thinking about this I have come to a realization why – I struggle wanting her to understand me to help translate who I am to a part of the world that does not understand me – my family! Our rifts are about religion, politics, as well as lifestyle. While she and my family remain very religious, conservative, and content; I, on the other hand lost my religion, tend to be liberal (I really think I am what they now call a Progressive), I am openly gay and live what I have convinced myself is an adventurous life given the constraints of a life dealing with limitations because of Multiple Sclerosis. So I try and hope for her to understand me so that she can translate so I can feel a connection with my family again. We do make real effort, but for now… I am still jabbering on and on in my own language and feel I NEED that ONE person that understands me to help the world (outside of my little head) understand me! Seeing this video surprised me because I felt I was witnessing Lazaro’s moment, the moment he found “MUSIC” was his translator and people beyond his family could understand and connect with the world he has been isolated in for so long. He found his Darlene! I think he FEELS he has connected; others see, feel, and understand his world a little more. Not only is music his translator – he sees that it is an APPRECIATED talent. He has found some of the respect he has craved and deserves. Feeling this connection has to be incredible! He has been actualized as a member of the bigger world. The talent that until now has been comfort in his isolated world can now be shared – WORLD, MEET LAZARO! 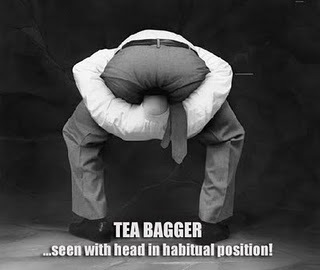 Shallow People In The Tea Party’s Shallow Tea Pot! I do not know how Teabaggers (The Tea Party) sees themselves; but I see them as shallow, selfish, incoherent, trivial people! Like Bill Maher on “Real Time with Bill Maher” says, “I will stop calling them Tea Baggers when they stop calling it Obamacare.” Now the government is facing a shut down because they have shown they cannot play well with others. They say to themselves….it’s our very minority ideal way for all or we will just take our ball and go home – while shutting down the government! The Democrats and Republicans have enough problems without the “Teabaggers” bringing their frivolous ideas to government. 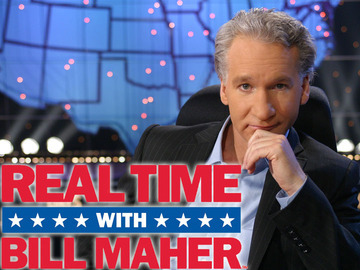 To use another expression from Bill Maher, they are like the kid that only reads one paragraph, when the teacher says who read the chapter and that kid raises his hand to ask a question about that paragraph to make it seem they read (or know) something. The paragraph they did read, they did not even understand. They read – cut government spending and for some reason they think it means cut any program they cannot benefit from directly. Many of them profess to be Christian, attend these WalMart Mega-churches and read the Bible the same way – the Bible hates the same things they do – Gays!! These people attended college to pledge Mom’s sorority or Dad’s fraternity, oh… and to get a degree. They never thought of college as a place to get an education and actually learn something! Many of the Teabagger Party do not even believe in evolution or global warming. Neil deGrasse Tyson, the Host of PBS NOVA scienceNOW says it best, “The nice thing about science is that it’s true whether or not you believe it.” Even when they can be proven wrong with science they just feel what they “believe” is foundation for governmental policy. 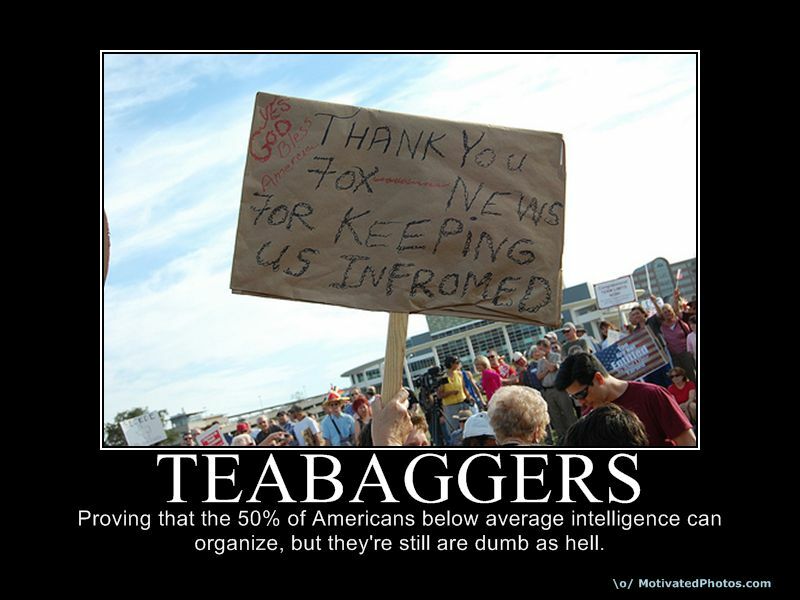 Why do the teabaggers feel they are acting on some mandate from the people? Where is that coming from? The Republicans barely have control of the House and not many old school Republicans will endure this teabag farce for long. 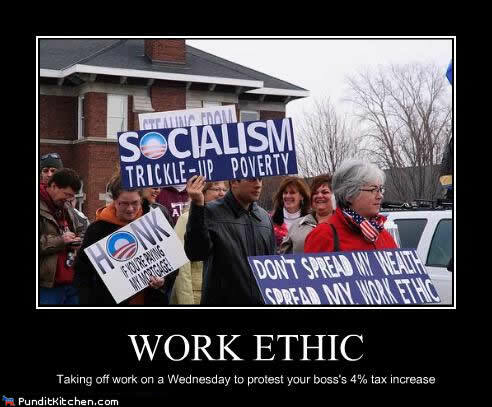 Do they really feel they are doing what is best for Americans? They should see Americans see they are acting for their own self-interest (pockets). The poor don’t watch Fox News and can’t be the loudest, they have bigger problems than worrying where Obama was born. Or is it simply the poor have an inability to organize, protest, and in some cases vote because of limited means or jobs that are more important for feeding their family, than concerns of governmental policy. They better enjoy their ride because I can only hope it will be VERY short lived. Repeating something or saying it louder, does not make it true. 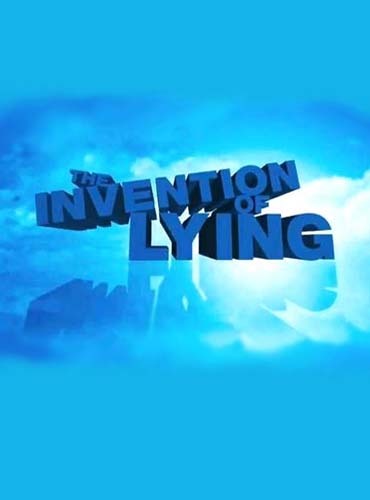 “A lie told often enough becomes truth” – Vladimir Lenin, “There’s nothing so absurd that if you repeat it often enough, people will believe it.” – William James; these are quotes that apply to today’s political environment. Fox News repeating that they are “Fair & Balanced” does not make it true but: Fox News – A Voice for Conservative Americans – now that is truth! Everyday I see and hear smart people repeating tripe that make me ask, how gullible can you be, or to ask them to cite their sources. Rhetoric is not a source. Recently a friend posted something on Facebook that reported President Obama would cancel The National Day of Prayer, observed in May each year. He was offended and then the post made some asinine comment about Muslims. He also asked in the post, “If you agree, copy and paste no matter what religion you are, this country was built on Freedom.” Even though this report is untrue, it has made its rounds on Facebook since Obama became President. 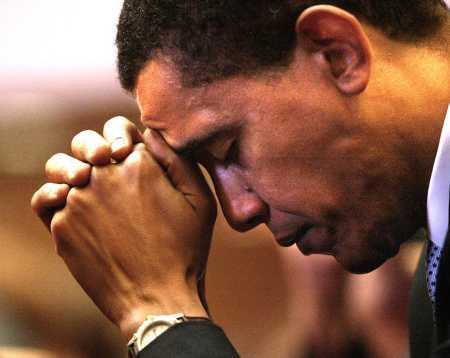 Now here is my taking it one step further – If, ” this country is built on Freedom” – why couldn’t President Obama be free to end The National Day of Prayer? Why can’t he be free to be a Muslim? Or is the American Freedom they speak of only freedom to believe the same as them? Why are so many outraged when someone (especially in leadership) has a thought or belief different from theirs? One reason I love “The Daily Show with Jon Stewart” and “Real Time with Bill Maher” is because these shows point out the exaggeration and hypocrisy used in politics and the media today. Fox News, conservatives and now birthers (people who do not believe President Obama was born in the U.S.) make themselves easy targets to be mocked by these programs because of the huge doses of hyperbole that they use. I feel the reason is they only hear themselves! They are spewing this misinformation nonstop and never stop to listen. 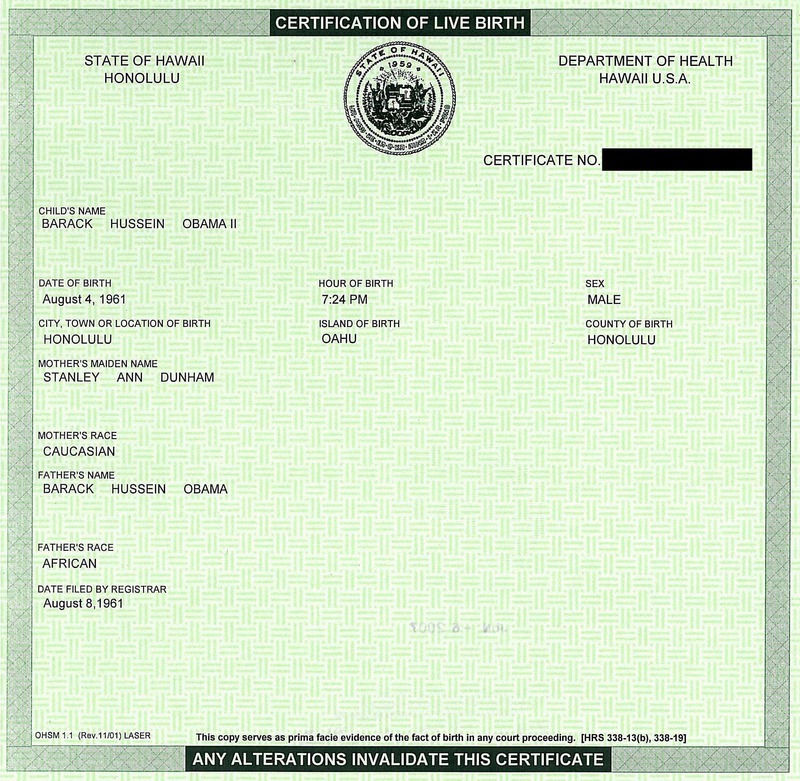 Birthers began demanding, “Show us the birth certificate!” Once the birth certificate was made public, they questioned its validity. When the State of Hawaii verified the birth certificate was legitimate, they started making up things about how Hawaii did birth certificates in 1961 that make it a fake. The excuses why they cannot accept that President Obama was born in the U.S. has to based on some crazy conspiracy theory similar to U.F.O.s in Roswell, Area 51 or the Kennedy assassination conspiracy theories. Obama was born in the U.S., we have freedom of religion so why would it be a problem for him to be Muslim instead of Christian, and what frightens them most ….. could it be the one point they do not argue… he is black. They need to just stop and listen to how ridiculous they sound, but with a majority of Republicans believing President Obama was not born in the U.S. – crazy is something we may have to get used to. Now that there are birthers elected into Congress, I see them the same as all politicians – only concerned about themselves. 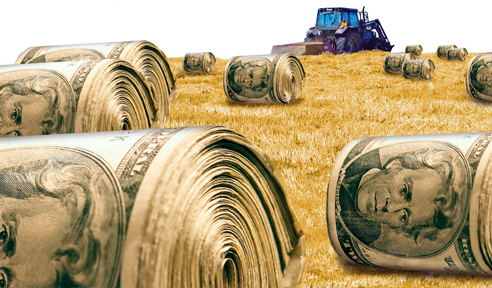 Many campaigned on cutting wasteful government spending, but they will not try stopping the farm subsidies they receive. Rep. Stephen Fincher, R-TN (over $3,000,000); Rep. Michele Bachmann, R-MN ($251,973); Sen. Max Baucus, D-MT ($230,000); Sen. Gordon Smith, R-OR; Sen. Ken Salazar, R-CO; Senator Charles Grassley, R-IA ($654,000); Rep. Stephanie Herseth Sandlin, D-SD (her father received over 750,000); get farm subsidy checks from the government, but Congress is NOT trying to cut farm subsidies. Instead they are trying to cut: education, Head Start, school nutrition programs, elementary education, Pell Grants, the EPA, transportation, Planned Parenthood, Americorp, financial regulators, health research, the CDC, job training, heating for poor families. I see them as bullying the poor. Why are they not wanting to find and cut waste in the Defense Budget? 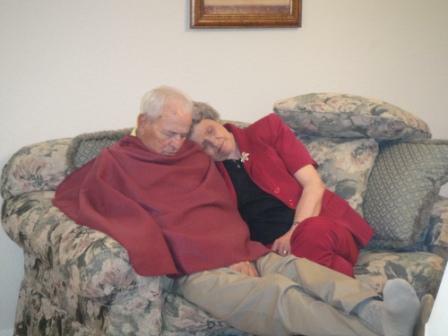 Finding ways to cut and find savings in Medicare/Medicaid and/or Social Security? They prefer misdirection to hide their hate and lack of compassion for the poor and needy! They need you to be afraid and HATE also! 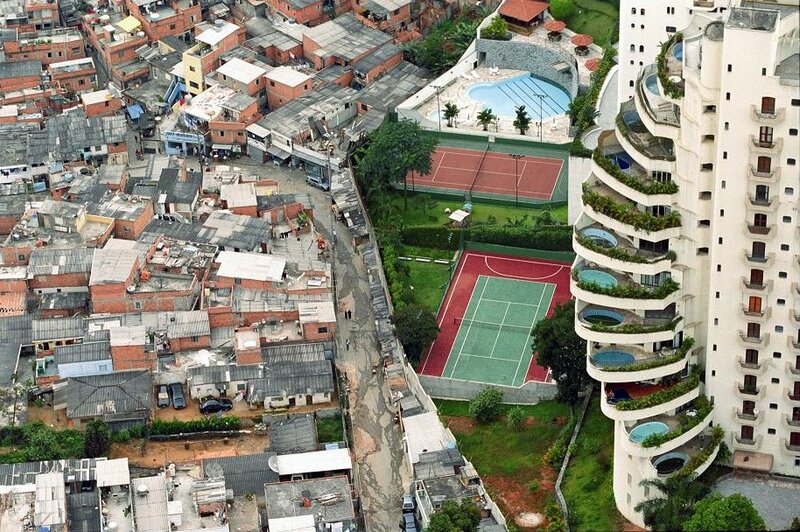 The distance to being poor is closer than your backdoor! Not checking the accuracy of reports and further, asking others to repeat inaccurate (lies) reports, is irresponsible. This is happening more and more! “Socialism never took root in America because the poor see themselves not as an exploited proletariat, but as temporality embarrassed millionaires.” – John Steinbeck. As Americans we need to care more about kids, the poor and the jobless than the defense! Maybe that is where we can or should agree to begin! 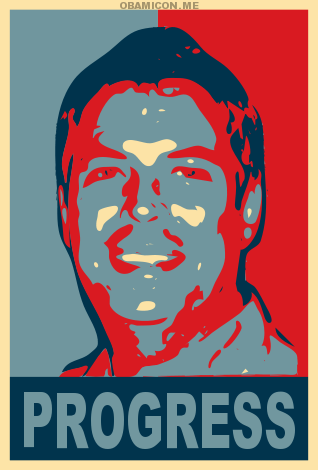 I look forward to the day when Congress is looking for “who” needs help more-so than their own personal interest. To quote Jesus, “And he will answer, ‘I tell you the truth, when you refused to help the least of these my brothers and sisters, you were refusing to help me.” Matthew 25:45. This is what should be repeated and loudest because it is TRUTH!! I claim to be a Firework (see I Am A Firework blog November 1, 2010), but for my parents – I am just a sparkler. I can live with that because I know they love me. Even though they cannot always appreciate my burst of colors, they have always acknowledge my sparkle. I am the man I am today largely because of their support even when my extreme decisions have challenged them. 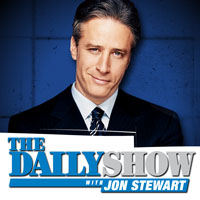 My parents a very conservative, religious, Fox News watching, Republicans and they do love their moderate, spiritual at best, The Daily Show with Jon Stewart, Democratic son. I know they have questioned how I became so different in my way of thinking. It is because they always encouraged my sisters and me to seek answers. My sisters, for the most part have followed the same path as our parents. While they can accept on nothing more than faith that the decisions they make are the best decisions, I have to try to research, study, and learn to find my own answers. We have learned out of necessity to tolerate each other’s differences despite that we no longer understand how each other thinks, feels and lives so differently. One thing we may forget is that I am standing as stubbornly on my decisions as they do theirs. This is the example they set for me. My Dad always repeated the saying, “You have to stand for something or you will fall for anything.” We need to remind ourselves that we are both standing for something even if our “somethings” are completely different. I know I often struggle to remember this. My parents also taught us that nothing was impossible if we set our minds to it (they enjoy using clichés). But my mind aways worked a little more diversely, so my impossibilities were even more adventurous than they would have ever imagined. Trying to make the impossible – possible became a challenge at which I embraced and excelled. My parents have had limited travel experiences compared to their children because when we wanted to see the world… we literally went to see the world outside of our beloved Pike county. For me, to the point of living in another country. We learned what it was like to have support in the decisions we made. They sometimes knew we were not making the best decisions but knew we could even learn from mistakes. We had support even when things were not our decision. 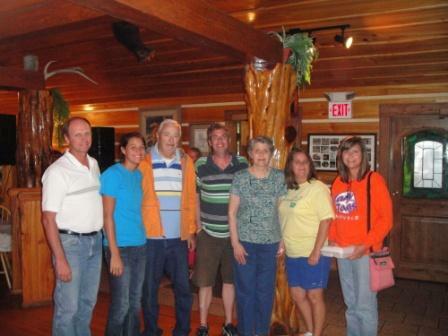 Few could have more family support than I did when diagnosed with Multiple Sclerosis (MS). When I decided that Colombia was an easier climate to live with my MS, even though they may not have liked my being that far from home, they supported me knowing my health was at stake. They may not have taught us to speak our minds as much as they set that example. There are umpires and referees that will also testify to Dad’s speaking freely about a missed or bad call on a ball field or ball court. Now we all feel we can speak our minds and like many politicians and activist groups, we feel only the loudest gets heard. Land was Dad’s biggest asset and he sold (at a very reasonable price) that to my oldest sister so she could build a house and live close. My other sister has gone above and beyond by taking care of Mom & Dad with helping cook, clean, keep up the yard and even chauffeur; will get the family house and the land on which it sets. Someone asked, “What will you get Thomas?” The only answer I had to give was I already got my inheritance. I got a free spirit that feels enlightened because even when I am not a beautiful firework show, I am a fun little sparkler. 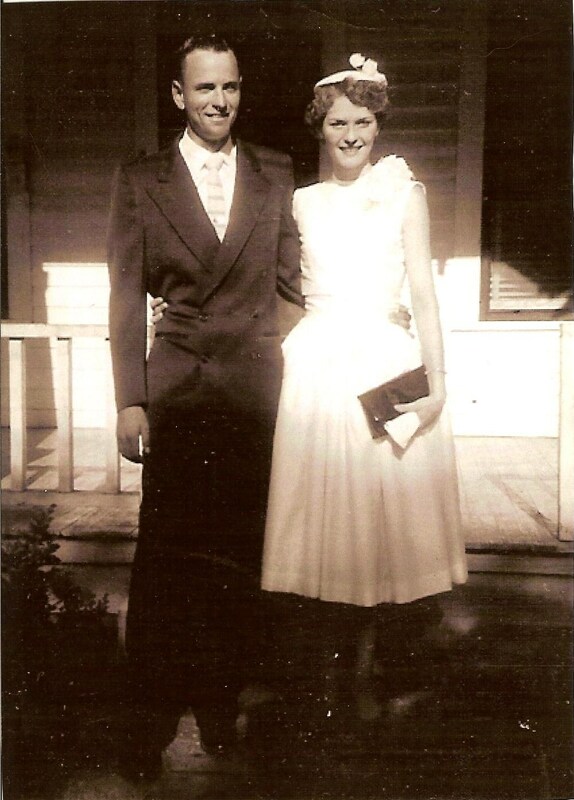 Thanks Mom & Dad – I love ya!